Johannesburg - Manchester United star Wayne Rooney believes a new-look England proved they have the edge over Italy based on the evidence of their 1-1 draw in Turin on Tuesday. Rooney, who was partnered up front by Harry Kane making his first start in an England shirt having come on as a substitute and scored on his debut against Lithuania last Friday, admitted there was disappointment in the England dressing room at halftime. But he believes the second-half display has shown their potential, as well as underlining their superiority over an Italy side which like them has been heavily overhauled since they both went out at the group stage of the World Cup finals last year – Italy failing to build on their opening 2-1 win over the English. Italy coach Antonio Conte – who replaced Cesare Prandelli after the World Cup flop – said England played like a side that was used to winning. 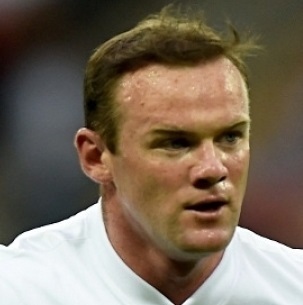 "It is important not to lose games," said Rooney. "Don't get me wrong, this is a good result against Italy away, when they have gone in front and they are really good at trying to kill the game. "We didn't let them do that, we tried – we knew we had to be patient at times – but I really felt we could hurt them on the break and in the channels, certainly with their three defenders and we got more joy with that. "I don't think they coped well physically, I think they tired in the last 10 or 15 minutes and that's when we should punish them. I think probably it was a fair result over all," added the 29-year-old.